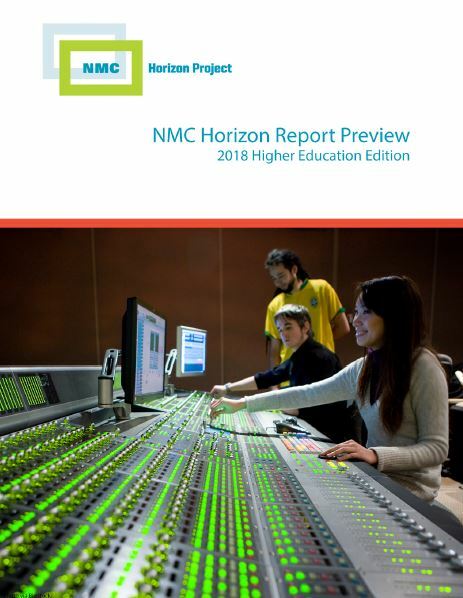 After acquiring the rights to the New Media Consortium’s Horizon project earlier this year, Educause has now published a preview of the 2018 Higher Education Edition of the Horizon Report — research that was in progress at the time of NMC’s sudden dissolution. 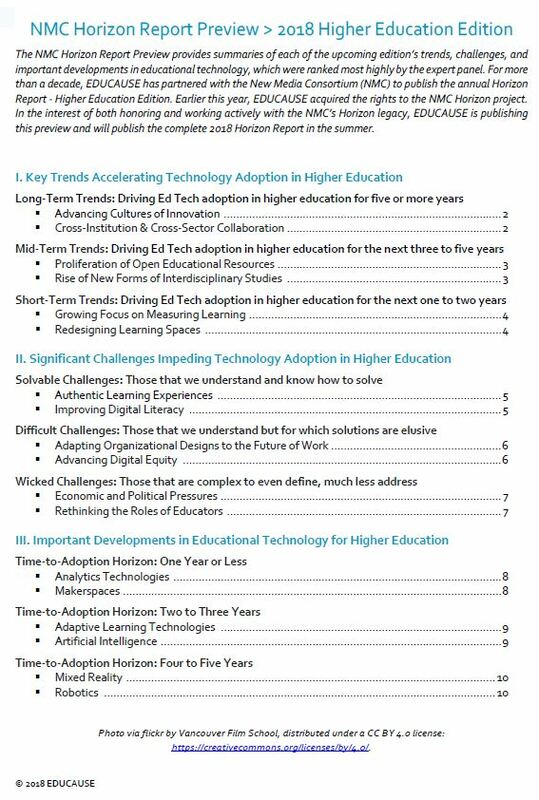 The report covers the key technology trends, challenges and developments expected to impact higher ed in the short-, mid- and long-term future. 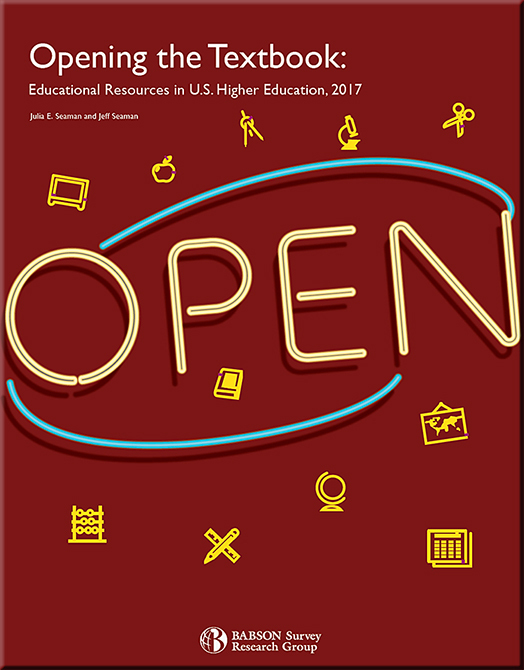 The number of faculty members choosing open educational resources over traditional textbooks has nearly doubled in the last year, but awareness over all remains low. 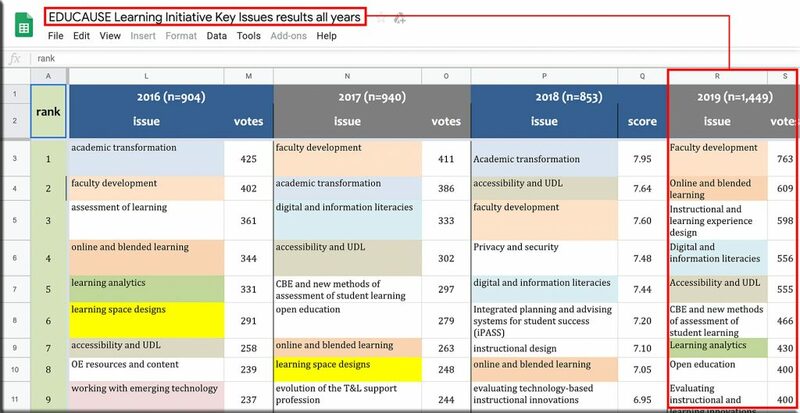 More and more instructors are choosing open educational resources over traditional textbooks, a survey of more than 2,700 faculty members reveals. The “Opening the Textbook” survey, published by the Babson Survey Research Group today, reports that the number of faculty members at two- and four-year institutions using OER as textbooks has nearly doubled in the last year — from 5 percent in 2015-16 to 9 percent in 2016-17. 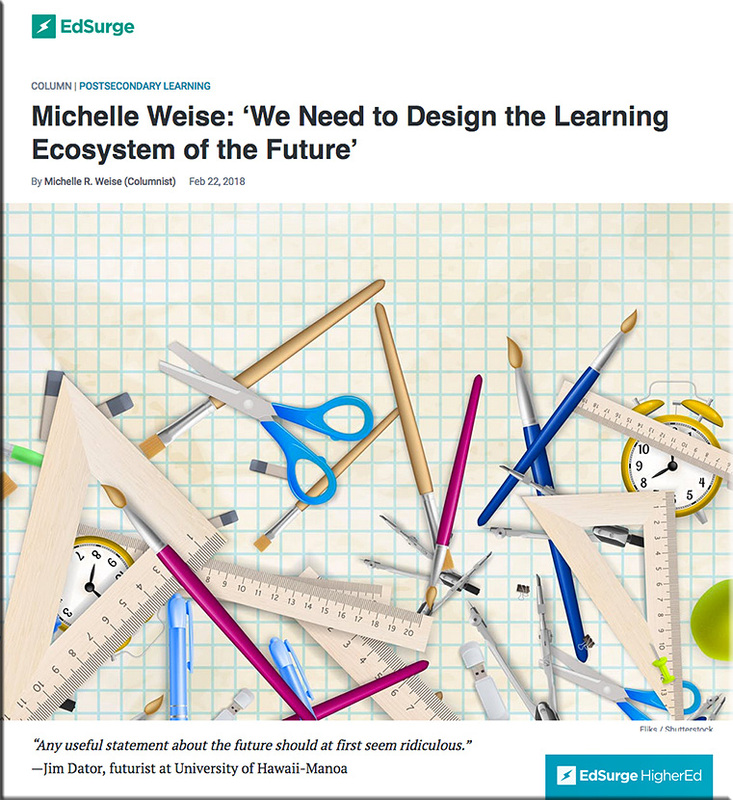 Awareness of OER — openly licensed and freely accessible teaching and learning materials — has also increased. Twenty-nine percent of faculty described themselves as “aware” or “very aware” of OER this year, up from 25 percent last year and 20 percent the year before. The proportion that reported they had never heard of OER fell from 66 percent in 2014-15 to 56 percent this year. 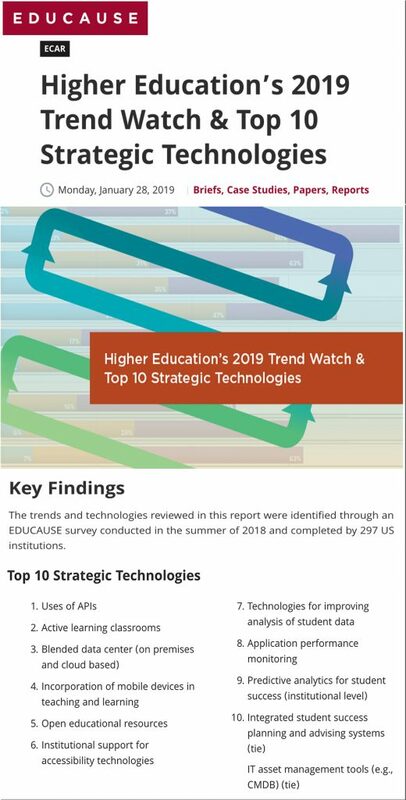 But while increases in adoption and awareness have been significant, Jeff Seaman, co-director of the Babson Survey Research Group, points out that over all, awareness of OER is still low. He noted that many faculty members also continue to report significant barriers to wider adoption of OER, particularly finding and evaluating the quality of materials. AI Index Report for 2017 — i.e., where are we, as of November 2017, with artificial intelligence? Artificial Intelligence has leapt to the forefront of global discourse, garnering increased attention from practitioners, industry leaders, policymakers, and the general public. The diversity of opinions and debates gathered from news articles this year illustrates just how broadly AI is being investigated, studied, and applied. However, the field of AI is still evolving rapidly and even experts have a hard time understanding and tracking progress across the field. Without the relevant data for reasoning about the state of AI technology, we are essentially “flying blind” in our conversations and decision-making related to AI. 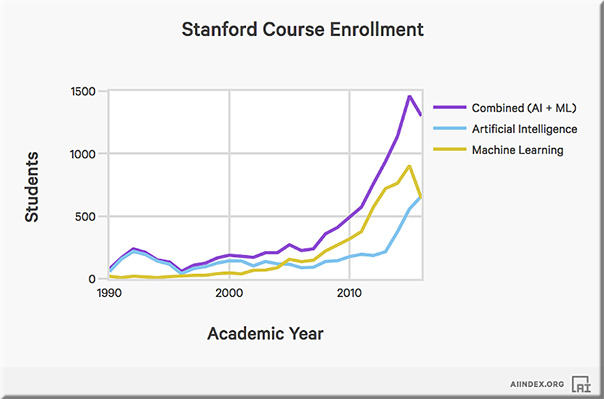 Created and launched as a project of the One Hundred Year Study on AI at Stanford University (AI100), the AI Index is an open, not-for-profit project to track activity and progress in AI. 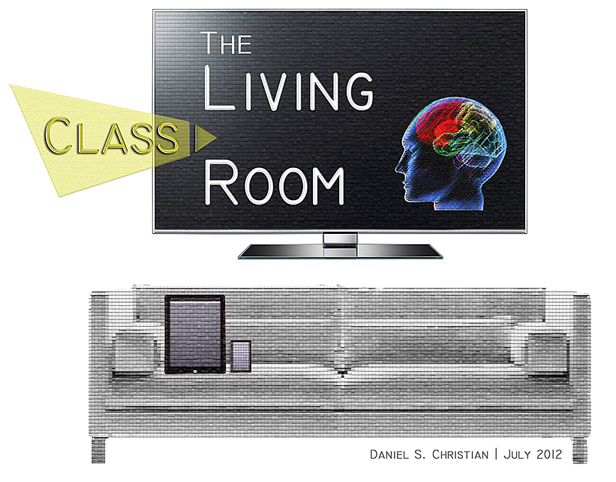 It aims to facilitate an informed conversation about AI that is grounded in data. This is the inaugural annual report of the AI Index, and in this report we look at activity and progress in Artificial Intelligence through a range of perspectives. 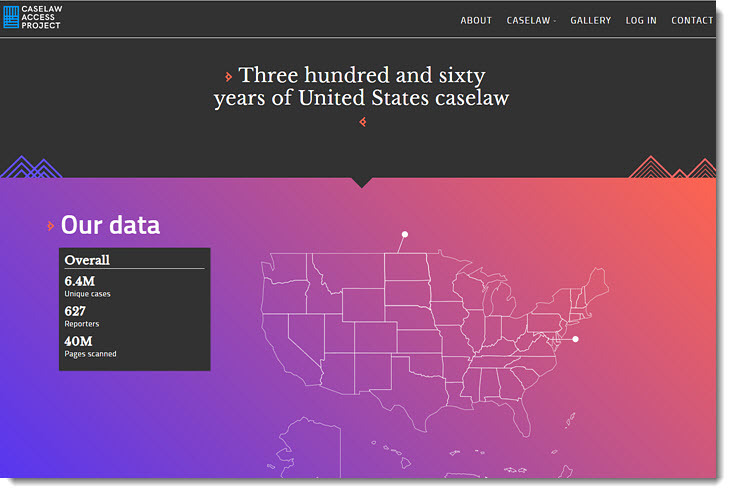 We aggregate data that exists freely on the web, contribute original data, and extract new metrics from combinations of data series. All of the data used to generate this report will be openly available on the AI Index website at aiindex.org. Providing data, however, is just the beginning. 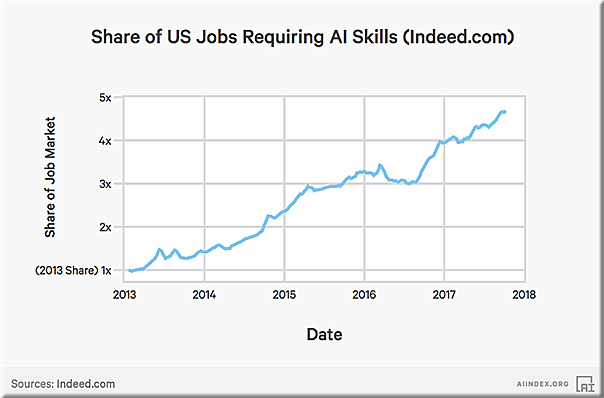 To become truly useful, the AI Index needs support from a larger community. Ultimately, this report is a call for participation. You have the ability to provide data, analyze collected data, and make a wish list of what data you think needs to be tracked. Whether you have answers or questions to provide, we hope this report inspires you to reach out to the AI Index and become part of the effort to ground the conversation about AI.